In the ancient Hebrew culture there was a literary codification of the concept of a Creator and of a creation out of nothing, the teaching from the book of Genesis. The Old Testament gives factual evidence of this world view throughout. Christians today take this for granted, but this concept was a radical break from Egyptian, Babylonian, and Greek thought. The Israelites knew they must trust the faithfulness of God because they knew God orders the day and night and that the law of God extends to all things moral, societal, and natural. Isaiah points to the order and measure of physical objects, i.e. 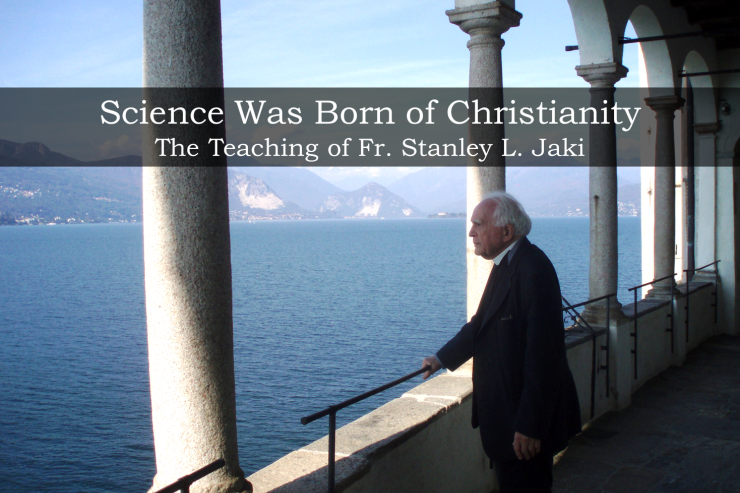 what Jaki defined as “exact science,” as contributing proof of God’s omniscience, literally translated to mean having all knowledge. The Old Testament people saw nothing that happened in nature as vain, even the rain that falls from the sky makes the land fruitful. “Yahweh alone, who created nature, can bring nature to an end and final judgment of all.” (Isaiah 23:10-11) Genesis 1 is much more rational than the Enuma elish creation myth of Babylon. This mind-set permeated the thought of the Israelites, the Jews, and the early Church. There are also detailed references in the books of the prophets and the psalms to the faithfulness of the regular and permanent structure and function of nature, offered repeatedly as the basis for believing in the trustworthiness of God. In the psalms is found a poetic conviction regarding the work of Creation and its relevance to everything man thinks or does. The monotheistic outlook on the world is unmistakable and uncompromising, enthusiastic even. This striking confidence is abundantly evident, and shows the belief in Creation of the entire cosmos out of nothing as well as a belief in the miraculous Creator who could accomplish the former obviously could produce the latter. Even in the earliest psalms, there is a most confident vision of nature, a precursor of the science to come. The universe of the Old Testament is good, complete, and ordered. The universe is not a creature of unpredictable volition, but the creation of a personal and loving Creator. There is no conflict between reason and revelation, and the order, stability, and predictability of the cycles of the cosmos testify to the faithfulness of God. God is not just a dispassionate creator; He is eternally merciful and faithful to His people, and that faithfulness is evidenced in the stability of creation. There is an abundance of such praises in Psalms 35, 80, and 120 of the stability of nature as a work of the Creator. Psalm 73, for example, praises God’s hold on creation: “Thine is the day, thine the night; moon and sun are of thy appointment; thou hast fixed all the bounds of earth, madest the summer, madest the cool of the year.” (Psalm 73: 16-17) Psalms 118 praises God for the stability of the moral law as well as nature: “Lord, the word thou hast spoken stands ever unchanged as heaven. Loyal to his promise, age after age, is he who made the enduring earth.” (Psalm 118: 89-90) Passages such as these demonstrate the naturalness of order and stability in creation. The facts are in the writings of the Church Fathers. St. Justin Martyr (c. 100–165 A.D.) rejected pantheism in favor of the Creator in his First Apology. In his Second Apology to the Roman Senate, he explained why the Stoic morality did not hold under the doctrine of eternal cycles. Athenagoras (ca. 133–190 A.D.) taught that Christians, not the pagans, were the ones “who distinguished God from matter, and teach that matter is one thing and God another, and that they are separated by a wide interval, for the Deity is uncreated and eternal, to be beheld by the understanding and reason alone, while matter is created and perishable.” He also taught that the world was “an instrument in tune, and moving in well-measured time,” and that the Deity is the only one who deserved worship because He gave the world “its harmony, and strikes its notes, and sings the accordant strain.” Athenagoras noted that the failure of philosophers to realize this distinction led them into inconsistencies about the origin and permanence of the world. As Christianity spread rapidly throughout the Roman Empire, Christian thought and fundamental characteristics of Greek science achieved a sophisticated awareness crystallizing in Alexandria where the first school of Christian thought emerged. Clement of Alexandria (died A.D. 215) was an intellectual who studied with Christian teachers elsewhere before coming to Alexandria to teach at the school and refute paganism and pantheism. One of his students was Origen (c. A.D. 182–251). Clement and Origen had a “double task,” to articulate the Covenant to the faithful and serve as apologists to the pagans, which required them to address cosmology. In his Exhortation to the Greeks, Clement taught that a result of idol worship was the mental chaining of the intellect to the blind forces of nature. Clement urged for a more confident attitude toward nature, a view of a world created by a rational Creator. Not only did he exhort the Greeks to view the world as creation, a robust confidence in human and cosmic existence, but he exhorted them to have faith in Christ who generated that confidence. Origen tried in his De Principiis (On First Principles) to synthesize Christianity with pagan and Eastern ideas of the cosmos, and he sought understanding of the eternal cycles. Origen noticed the impossibility of eternally repeating worlds and that such an idea was in conflict with revelation. He recalled the events of biblical and salvation history, noting that if the world repeated itself over and over again, there would be more than one of all biblical events. He also noted there could be no free will because souls driven in an endlessly repeating cycle are all predetermined. Origen reiterated a firm conviction that the cosmic vision was not predicated on eternal cycles but on the fusion of truth and benevolence, the recognition that Jesus Christ is the Incarnate Word of God. There is no place for the resurrection in the doctrine of cosmic cycles, and the early Christian Fathers recognized this clearly. Origen, like many of the early Church Fathers, demonstrated the depth of his conviction by martyrdom.The worldview of the Bible and of Christianity was not merely a philosophical outlook; it was a pervasive conviction that was kept pure and protected at any price because the faithful held it as true. In his work The City of God, St. Augustine of Hippo (A.D. 354–430) addressed questions about the destiny of man, which hardly made sense in the doctrine of eternal cycles. Augustine taught that the physical universe had its origin in the sovereign act of creation by God. It was baffling to Augustine that anyone would believe that good is not the source of all things. For another thousand years, the writings and wisdom of Augustine remained a principal source of instruction that held consequences for the coming new phase of human history immersed in scientific enterprise. It was under the stronghold of faith in a Creator from Old Testament times and strengthened through the first millennium of Christianity that the European scholars received the Greek philosophical and natural works from the Arabs. STACY TRASANCOS is a joyful convert to Catholicism, with a Ph.D. in Chemistry from Penn State University and a M.A. in Dogmatic Theology from Holy Apostles College and Seminary.